Click on the respective non-English character (from the selected foreign language in the drop-down) to include it in the keyword. 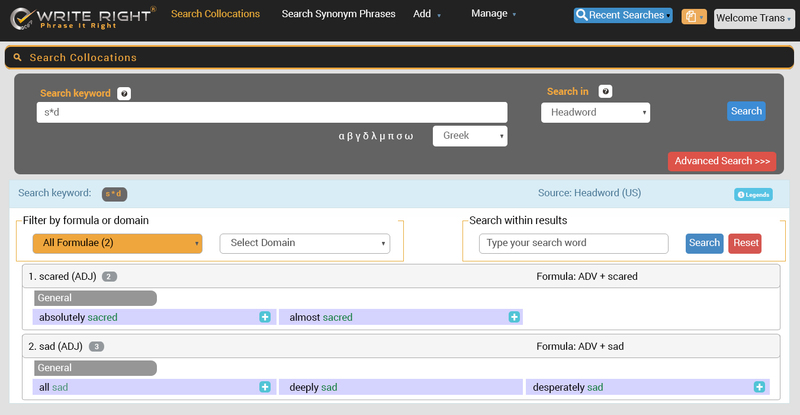 Wildcard search can be done using ?, *, -,  to replace or represent one or more characters in keyword, in addition to the permissible characters. Any single character ? s?t finds sat and set. Any string of characters * s*d finds sad and scared. One of the specified characters [ ] w[io]n finds win and won. Any single character in this range [ - ] [r-t]ight finds right and sight. Ranges must be in ascending order.